Finance expert tells BBC Newcastle why Mike Ashley now wants out of NUFC for good – NUFC blog – Newcastle United blog – NUFC Fixtures, News and Forum. 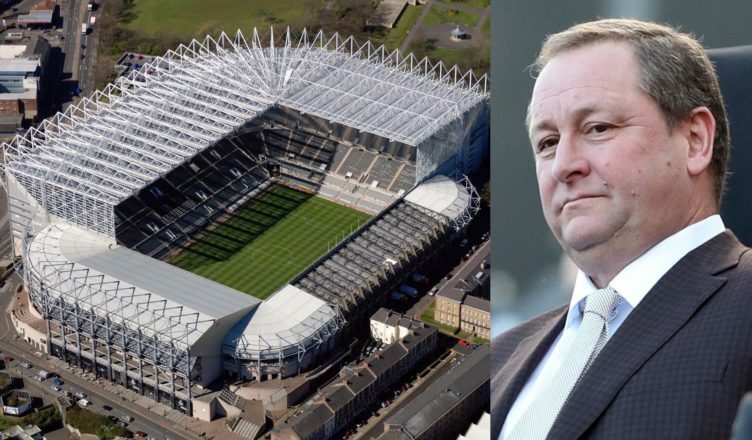 Speaking to BBC Newcastle, football finance expert Kieran Maguire has claimed that Mike Ashley is looking for around £325m for NUFC – but believes he’s finally a ‘motivated seller’ and now willing to be ‘more flexible’ on price. With the House of Fraser purchase and ongoing legal dispute with Glasgow Ranger to contend with, Ashley certainly has a lot on his plate – all self inflicted of course. Perhaps as a result he may finally be a more willing seller, but Newcastle fans will, quite rightly, remain skeptical. “I think Mike Ashley is willing to be a bit more flexible in terms of price. He’s currently got an ongoing legal dispute with Rangers up in Scotland, there’s him trying to control House of Fraser and dealing with the landlords and consequences of shop closures which is taking up a lot of his time. The last thing he needs is Newcastle United on his hands as well. “He’s not in love with the club and there’s nothing wrong with holding it for investment reasons but it’s not making a lot of money. The asking price has clearly been too high or Ashley hasn’t had the appetite to sell, as you don’t see such protracted takeover talk with any other Premier League sides who have been ‘up for sale’ over the last decade. Ashley seems to be prioritising his time with ‘saving the high-street’, and whether that works or not won’t be the main concern for Newcastle fans. Let’s hope this year is different and there is an actual appetite to sell this time; perhaps even Ashley realises it is now or never. NUFC star agonisingly close to Premier League record – This is quite incredible.. Unpopular opinion, but this commonly criticised NUFC player has done pretty well recently..
Yeah, I call bs on this one. Newcastle Lease the ground from the Council, they don’t own it. And due to that it isn’t ever likely that the football club will relocate. Mike must have nearly chocked when he found out .